Our specially trained nurses are there to manage symptoms and provide psychological, social and spiritual support. We aim to achieve the best quality of life for residents and their families, whilst treating everyone with respect and dignity through this difficult time. Care and compassion are at the forefront of everything we do. 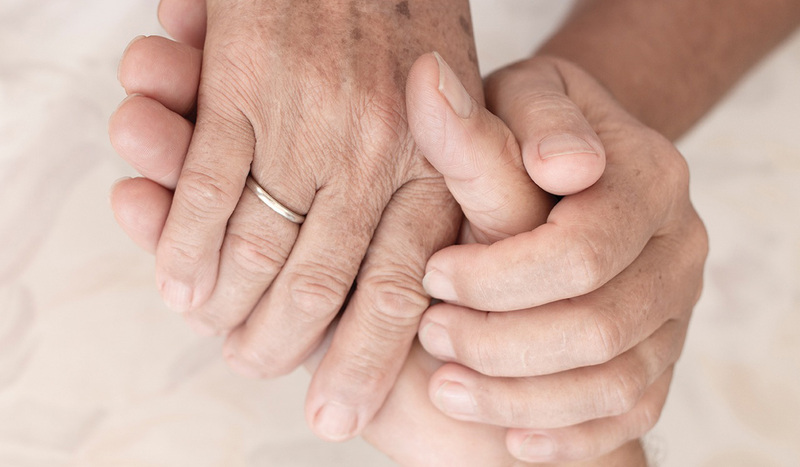 At Alderwood we are passionate about providing the best possible end of life care to our residents and we take the time to truly understand their needs, as well as those of their family. We are generally the preferred place of choice for our residents to spend their final days surrounded by their family, in the familiarity of their home being supported by our dedicated, highly trained team. We ensure that both the needs of the residents and their loved ones are catered for with the utmost dignity in order that they can spend as much quality time together during these precious days. Our letters of thanks stand testament to the care services we provide all residents, with palliative care residents offered the support they need in order for their wishes to be carried out. ‘Care and kindness’ are two words that crop up time and time again from our residents and their families who have benefitted from the services from Alderwood and that is because care and kindness are deeply rooted in everything we do from our residential services to nursing care.